Aw JCS1 that's adorable. Can't believe how quickly that's come together - you put me to shame!! Here is the latest Elvis update. I have done some more crocheting this week but had a couple of nights where I didn't feel up to it. Was meant to be the monthly craft group on Thursday, but had several people cry off and given the weather is so cold, I cancelled it. Shame really but not worth setting up the room for three of us (used to be 12-15 at the start). I met my Mum today for a coffee and she had been in The Work$ and had bought a knitting pattern book of scarves - only £4. Some really nice designs. Might have to borrow that sometime! So many projects and not enough time, like always! PS. have asked the mods to move this thread to the Crafting section. Hope that does the trick. Wow nmm I didn't know that! How frustrating but good that you noticed before using any! I did some more crochet last night - just three rows (173 stitches in each). Was exhausted after visiting rellies during the day. Luckily only mash and veg to cook as we put the slow cooker on before we went out. Doing some more tonight. Out tomorrow night for DS2's birthday and also out a Thursday at a meeting. Hoping to finish the main section by the end of next week. The edging looks challenging, so I'm not looking forward to that! Thank you JCS1 - have entered (and said No to contacting me - wonder how many spam emails I will now get lol!). Hope all are okay? Only 1cm of snow for us last night and now all gone due to steady rain all day. Glad really as although I don't mind the snow, I can't bear the ice it turns into. Hoping to do some crafting this weekend. Fingers crossed. I will enter that too can never have enough floss thanks JCS1. Frosty and cold here but at least its been sunny. 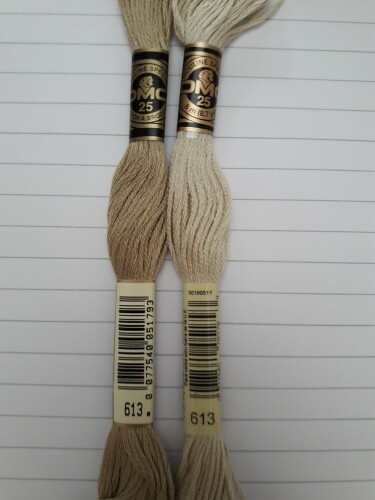 My 613. thread arrived today and thankfully its the correct shade, I was getting worried that I wouldn't be able to complete Elvis. This was here earlier in the week, ended up being snowed in Tuesday afternoon and all of Wednesday. That's a bit of snow, I don't really get much where I live it was a light covering here. 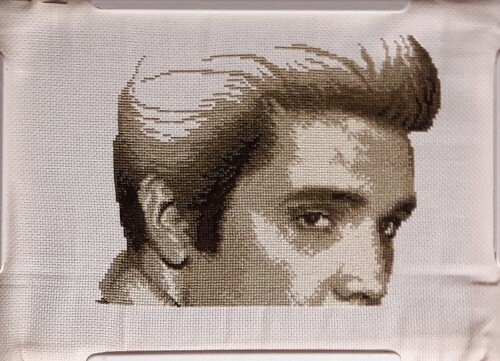 My latest Elvis update, I've completed page 2 sorry about the dodgy photo colour. I love blackwork that looks great JCS1, what SAL is it? Loved the snowy scenic photo JCS1. Hope it didn't curtail any plans you had? We had approx 1cm of snow which I was a little disappointed with but meant business as usual for school and work luckily. Love the Elvis update nmm. When do you need to finish it by? The SAL looks lovely JCS1. I do love black work it's so methodical. I have finished the main body of the crocheted blanket (40 colours, 3 rows of each). Now need to sew in the ends which shouldn't take too long. We are at a quiz night tonight and I have plans for a haircut and a costco trip today so it's not looking likely I'll be able to do it today. Tomorrow i am helping at a church function but would hope to do some craft whilst the rugby is on later. Hi coxy, sounds like you have a busy weekend planned, congrats on finishing the blanket. 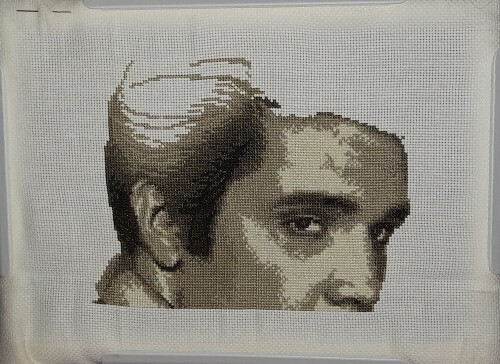 I originally wanted to finish Elvis by 31st Dec last year, clearly that didn't happen so I guess it'll be a birthday present this year instead, leaves plenty of time to finish and frame it. Hi everyone and thanks for creating this thread! I've been working on a few different crafts and cross stitch projects so far this year. 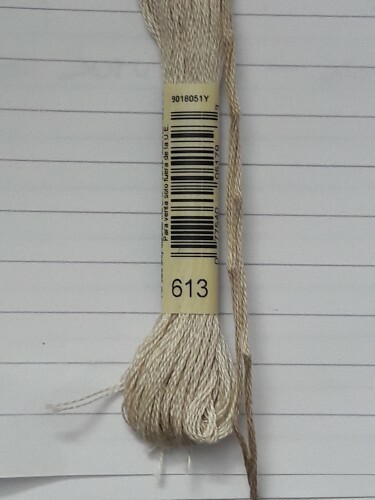 Some of my recent stitches are durene jones ballerinas, a satsuma street one and a birth sampler from Caterpillar cross Stitch. 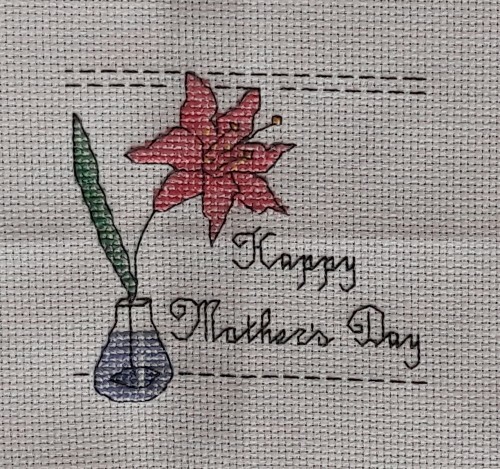 My next project will be something for mothers day. Hi Elise, welcome to the caf! Welcome to the thread x Sounds like you've been busy. Which Satsuma Street design did you do? I bought pdfs of the city scenes and have completed New York and Sydney so far. I am currently working on London, amongst other things - currently finishing off a crocheted blanket from black sheep wools. I'm going to make a start on sewing in the ends of the blanket tonight as DH is off to see his pub buddies. After that I need to steel myself for the challenging edging eeeek! 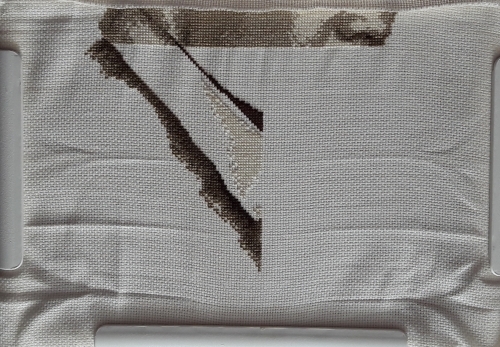 Coxy, I hate sewing in the ends so good luck with that and hopefully the border is not as hard as you think. Thanks so much for creating this thread - what a lovely idea! I have quite a few projects on the go at the moment!